Multi-level marketing is not only successful in the United States but in other parts of the world as well. This is because customers in these countries see the potential of the products being offered and the amount of wealth that can be made in having other people promote it. One good example is Malaysia and here is a list of some MLM companies currently operating in this nation. The first is Amway that has been operating here since 1999. It also has offices in neighboring countries such as Singapore, Philippines and Brunei selling a variety of products for home and personal care, artistry and living. The person has to be sponsored by a current member and after training; a startup kit worth RM85, which is the local currency, has to be paid. Another company that has found its way to Malaysian shores is Nu Skin. This company specializes in beauty products that are designed to whiten the skin or prevent anti-aging. Members do not have to go to the store to purchase goods because this can be ordered online and then delivered to one's home. It gives shopping convenience so people can be concerned with selling and getting new recruits to join. Those who are more concerned about healthy living will be happy to know that Herbalife is currently operating in Malaysia. It has products that help customers gain or lose weight. The nice thing about this MLM Company is that anyone can sign up and there is no need to have someone sponsor the newbie. It also has a starter kit worth RM88 with an instruction manual that will be delivered to one's doorstep. Although Avon no longer has an official website, it still has operations in Malaysia. People can get perfumes, cosmetics, toiletries and a lot more by visiting its corporate office. Those who love to cook and have to preserve leftovers will be happy to know that Tupperware is there. People should recall this company was the first to create microwaveable plastic ware. There are two kiosks with one in the capital so it won't be that hard for anyone who wants to invest in this exciting opportunity. The MLM companies mentioned are just a few from the hundreds currently available. Some individuals who started part time have decided to full time because of the flexible hours which is good for those who also want to spend time with the family. The start up kit being offered is also very affordable. In fact, discounts of up to 25% are given to members so it is possible to make a few bucks as well as earn commissions from the efforts of those down the line. Constant refresher courses on product training and how to sell to customers are done regularly so all the agent has to do is follow the tried and tested formula. 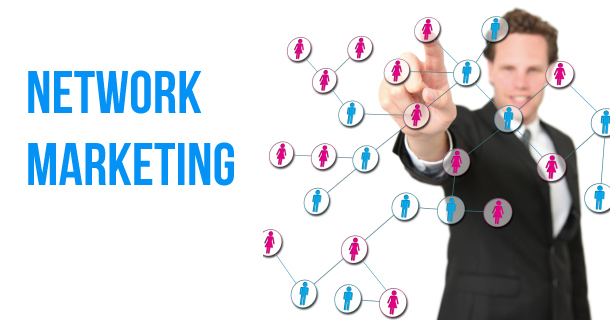 So for those thinking about going into business, multi-level marketing is one option that people can consider. It is better than franchising because of the low cost and the person is able to utilize it, which is the best way of trying to sell this to others. There are no quotas in place when working for an MLM company. This is because what is being offered is a working partnership where everyone is able to get something out of it.